The mini LKT videogame is now available on the website of FocusLeanKata for you to practice and learn more about the methodology Lean Kata. You can do it from your PC or download the application to your mobile phone or tablet from GooglePlay (search for minilkt) and in a few days from the App Store. The mini LKT is a simple game that represents a task in which you have to place some coloured pieces on a base plate. You must do the tutorial that is included in the video game itself and learn and practice how the process works and the demand for products that will make you a customer. Once you are familiar with the mini LKT, you have to ask yourself: What is the CHALLENGE I want to achieve by improving that process? This is the first question to be asked when applying the Lean Katamethodology. For starters, know that the video game gives you the chance to play three games for each round of improvement. But to play the second game, we’re going to ask you a favor. Register in the application with your name and email address. In doing so, it’s all to your advantage! The FIRST, you can continue playing with the mini LKT as many times as you want. THE SECOND: that we are going to send you a brief document so that you know more about the methodology Lean Kataand the THIRD: that with your scores, you will be included in the world ranking of mini LKT players. Play all three games and see if you have approached the CHALLENGE that you had planned at the beginning of the game. You must overcome the OBSTACLES that prevent you from reaching your OBJECTIVE. If you made it, congratulations! Otherwise, try it again by playing a new round. The final result of each round is the sum of the results of the three games and it will be saved in the ranking of the mini LKT. If you have done very well, your nickname will appear in the TOP FIVE of the video game. Would you like to practice the Lean Katamethodology with the mini LKT? Remember, remember. It is about practicing and practicing to create new routines in your brain that will allow you to improve processes of any kind in the future. Ask yourself a PDCA, after another PDCA, until it comes out automatically… But you have to practice and practice and create new habits for improvement. 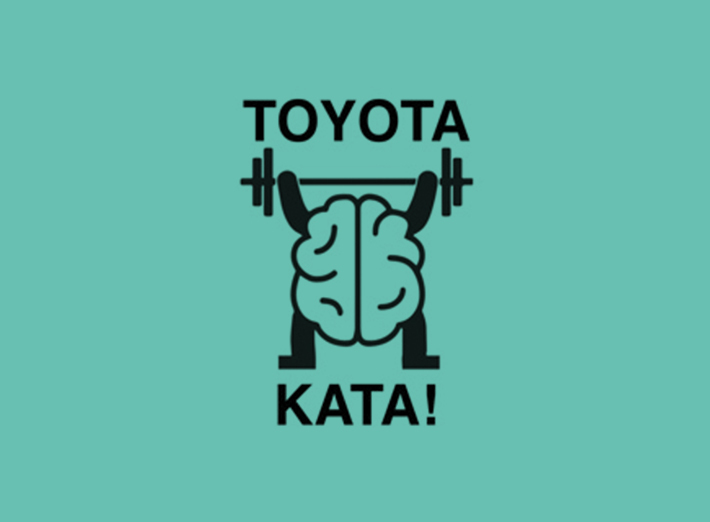 That’s what TOYOTA people do. So… PLAY with the mini LKT! And remember: lots of kata! Subscribe to our newsletter to be aware of everything. If you want to request information call us at +34 601 050 145 or fill in the form and we will contact you.